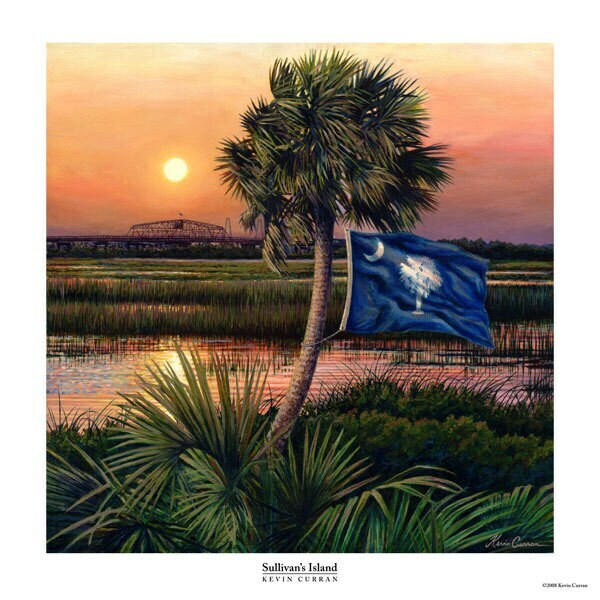 "Sullivan's Island" is a marsh scene depicting a marsh scene which features the South Carolina, Palmetto State Flag. This scene was inspired by a somewhat secret spot where you can view the Ben Sawyer Bridge from the marsh. It is on Fine Art Paper, printed with archival ink, no mat, sent flat with foam-board backing. This print is reproduced from an Oil Painting by Kevin Curran.